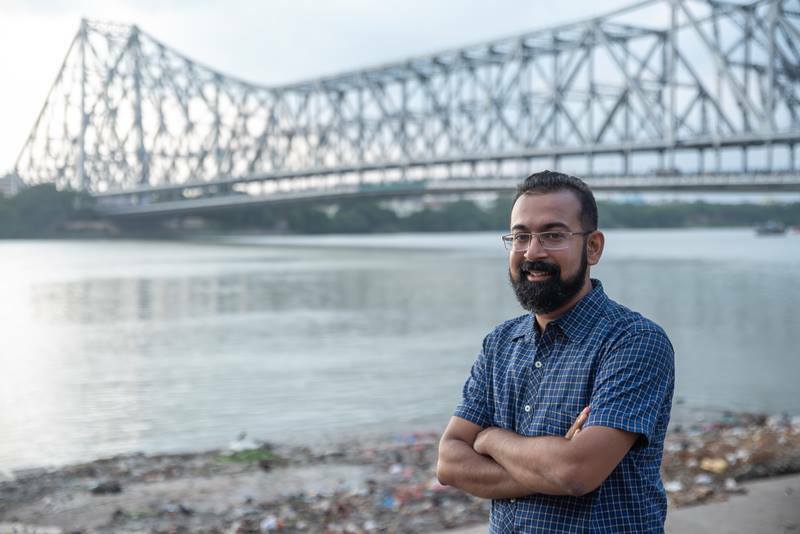 Soumya Shankar Ghosal is a Kolkata based Street and Documentary Photographer. With over a decade’s experience, he has won numerous accolades in India and internationally. Special Mention Award from CGAP – World Bank in 2013, Grand Winner of Red Frames FOMC 2013, National Winner – ICICI Bank Live Your Passion Grand Challenge – 2017, Runner-up & Top 10 at Namami Gange Photography Contest 2018 (Ministry of Water Resources, River Development & Ganga Rejuvenation, Government of India), Silver Medal and Honorary Mentions at Eyewin International Phtography Awards 2018, recipient of Sahapedia Frames Photography Grant 2019, HIPA 8th Season Finalist and winner of several other Photography Contests held by Nikon, Fujifilm, Olympus etc. 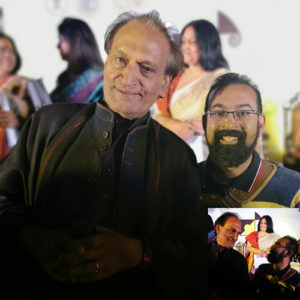 He is regularly invited as a Speaker at Photography Seminars, interviewed on Radio, conducts intensive task-oriented Photography Workshops and Blogs on Photography. NationalGeographic.com, National Geographic Traveller India, Lonely Planet, India Today, 1X, Better Photography, Life Force Magazine, DPS (Digital Photography School), Fujifilm India, Sigma, 121clicks.com, CNN Travel, Creative IMAGE, Getty Images, Scroll, The Times of India, Gate 7, YourStory Bangla, DNA, The Tribune, The Telegraph, The Photographic Angle, Roli Books, Top Photography Films, Asian Photography Magazine, CREDAI Real Estate, Conflating Visions, Writing through light to name a few and his articles have been regularly featured in Epson Fotoflock. India 5 Senses, Calcutta Then Kolkata Now, 1X Year Book Mono and World Street Photography Coffee Table Books featured his work. 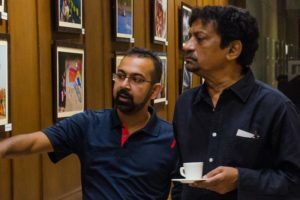 Soumya was invited by Facebook as the Curator for the first official Instagram exhibition held in India during January 2016. IBM, Idea Cellular, Amazon, Nikon, Canon, Fujifilm, Sigma, Tamron, Haldia Petrochemicals, The Chatterjee Group, Indus Towers, Asian Photography Magazine, Apeejay Group, ITC Hotels, Lalit Great Eastern, Vivo, Honor, Turtle. IIM Calcutta, Presidency University, South City College, WBUT, Medical College Kolkata, NRS Medical College, IISWBM, BIMS, Bhawanipur Education Society, YLAC Counter Speech Fellowship with Instagram, Calcutta Boys’ School, Calcutta International School, South City International School, Sushila Birla Girl’s School, Modern High School for Girls, Lakshmipat Singhania Academy, Future Institute of Engineering and Management and Techno India. 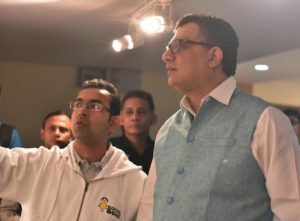 To enthuse Street Photography enthusiasts he founded of one of the largest Street Photography movement dedicated to a city – “Streets of Calcutta”, which has a follower base of 27,000+. 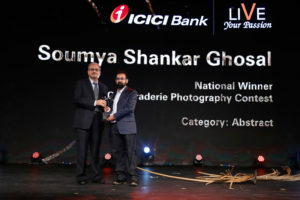 Soumya is regularly invited to judge Photography competitions. He has been a part of Photography for Philanthropy projects. He was the Quiz Master in the newly introduced “Photography” category for Kolkata Quiz Festival. Apart from a degree in Systems Management, Microsoft Certified Professional and a Lloyd’s UK Register certified ISO 9000 Internal Auditor he holds a first class degree in MBA (Finance). Professionally he is an independent Management Consultant serving MSME clientele.